A new study by the Ben-Gurion University of the Negev shows that around forty percent of Israeli women aged 16-48 have suffered physical, psychological or verbal violence from their partners. The results of the study, Violence Against Women in their Reproductive Age and its Effects on Health, were released to coincide with the UN’s International Day for the Elimination of Violence Against Women, marked on Friday November 25. It is the first national study of its kind in Israel to explore violence, its manifestations, and the link between violence and women’s physical and mental health, the researchers said. Violence against women is a serious public health issue with numerous ramifications for women’s physical and mental health and that of their children, they said. The Ben-Gurion study, which was supported by the Israel Science Foundation (ISF), was led by Dr. Nihaya Daoud and Prof. Ilana Shoham-Vardi of the university’s Department of Public Health at the Faculty of Health Sciences. The research found that intimate partner violence (IPV) is a common phenomenon at all sectors of society, though low-income families reported a higher rate of incidents. Among Arab women, the instances of violence were higher in families with greater levels of religiosity and in families living in urban as opposed to rural localities. The researchers interviewed a representative sample of 1,401 women aged 16-48 during their visit to 72 Well Baby clinics in five districts in Israel. The research measured violence by means of, among other things, 10 questions about physical, psychological, verbal, and economic or social violence — or control — perpetrated by their partners. The results showed that 4.6% of the women reported physical violence; 28.6% reported verbal or psychological violence, and 26.1% reported social or economic violence. 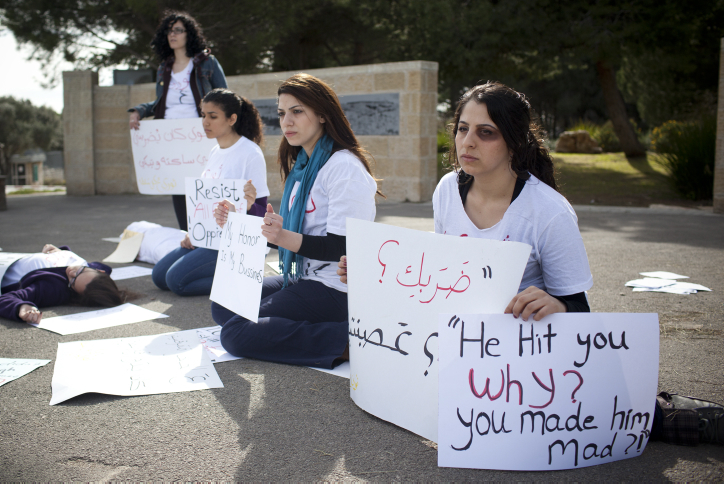 Arab women reported more intimate partner violence of all types, than their Jewish counterparts: among Arab women 11% reported physical violence; 50% reported psychological or verbal violence and 50% reported social or economic violence. Among Jewish women, 2% reported physical violence, 19% reported verbal or psychological violence and 16% reported social or economic violence. IPV was associated with a higher prevalence of health problems among all groups, both Arab and Jewish, the researchers found. It was linked to higher rates of postpartum depression, symptoms of depression and anxiety, and other health problems such as miscarriages and premature births. The connection between IPV and health problems was greater among Arab women. Despite this, only about half of the women who participated in the study reported that they had been asked in the past whether they had experienced IPV during their visits to the healthcare system. These findings show that the healthcare system does not conduct universal screening regarding IPV, a situation which needs to be changed, the researchers said.